To provide an example of how you might move to containerized development, I built a simple todo API with Python, Django REST Framework, and PostgreSQL using Docker Compose for development, testing, and eventually in my CI/CD pipeline. The todo app here is essentially a stand-in, and you could replace it with your own application. Some of the setup here is specific for this application. The needs of your application may not be covered, but it should be a good starting point for you to get the concepts needed to Dockerize your own applications. At the foundation of any Dockerized application, you will find a Dockerfile. The Dockerfile contains all of the instructions used to build out the application image. You can set this up by installing Python and all of its dependencies. However, the Docker ecosystem has an image repository with a Python image already created and ready to use. Open the newly created Dockerfile in your favorite editor. The first instruction, FROM, will tell Docker to use the prebuilt Python image. There are several choices, but this project uses the python:3.6.1-alpine image. For more details about why I’m using alpine here over the other options, you can read this post. The Dockerfile needs more instructions to build out the application. Currently it’s only creating an image with Python installed, but we still need our application code to run inside the container. Let’s add some more instructions to do this and build this image again. Step 6/8 : COPY ./requirements.txt . The Docker Compose file will define and run the containers based on a configuration file. We are using compose file version 3 syntax, and you can read up on it on Docker’s site. For example, the usr/src/app directory will be created during the build. We then map that directory to the host machine, and the host machine application code will be used during “runtime.” This allows us to make changes locally, and those are then accessible in the container. command: gunicorn -b 0.0.0.0:8000 todosapp.wsgi:application – Once the image is built, and the container is running, this command will start the application. depends_on: – This will tell Docker Compose to start up the postgres service when the web service runs.
.:/usr/src/app – This will mount the root directory to our working directory in the container. environment: – The application itself expects the environment variable DATABASE_URL to run. ports: – This will publish the container’s port, in this case 8000, to the host as port 8000. Like the Python image we used, the Docker Store has a prebuilt image for PostgreSQL. Instead of using a build directive, we can use the name of the image, and Docker will grab that image for us and use it. In this case, we are using postgres:9.6.2-alpine. We could leave it like that, but it has environment variables to let us customize it a bit. This will tell you the name of the services, the command used to start it, its current state, and the ports. Notice pythondjangotodoapp_web_1 has listed the port as 0.0.0.0:8000->8000/tcp. This tells us that you can access the application using localhost:8000/todos on the host machine. A small but important step not to overlook is the schema migration for the database. Compose comes with an exec command that will execute a one-off command on a running container. The typical function to migrate schemas is python manage.py migrate. We can run that on the web service using docker-compose exec. The application itself includes some integration tests. There are various ways to go about testing with Docker, including creating Dockerfile.test and docker-compose.test.yml files specific for the test environment. That’s a bit beyond the current scope of this article, but I want to show you how to run the tests using the current setup. The current containers are running using the project name pythondjangotodoapp. This is a default from the directory name. If we attempt to run commands, it will use the same project, and containers will restart. This is what we don’t want. Since the docker-compose.yml file specifies a port, we use -p 8000 to create a random port to prevent port collision. The --rm option will remove the containers when we stop the containers. Finally, we are running in the web service python manage.py test. At this point, you should have a solid start using Docker Compose for local app development. 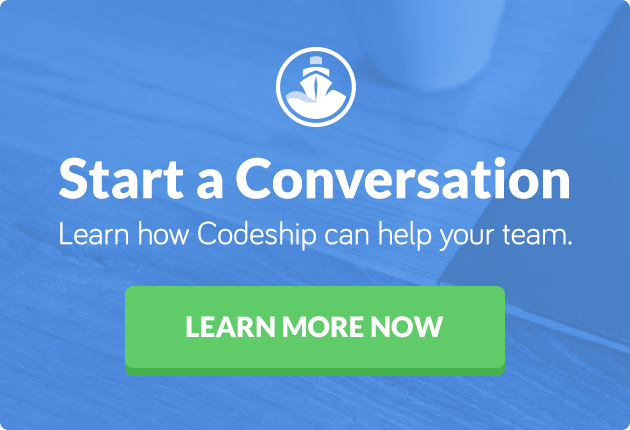 In the next part of this series about using Docker Compose for Python development, I will cover integration and deployments of this application using Codeship.